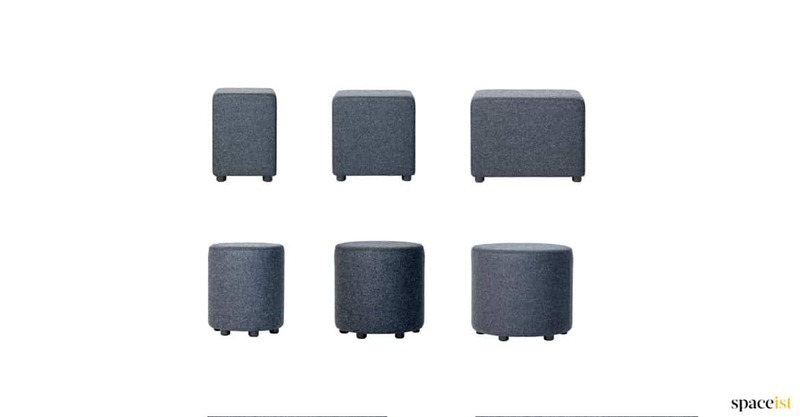 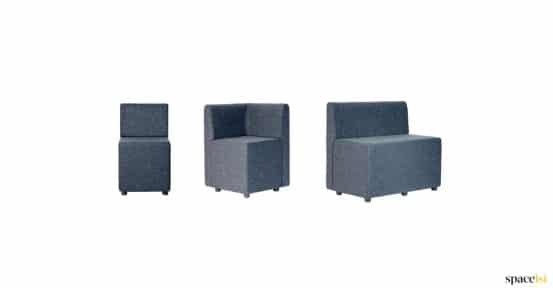 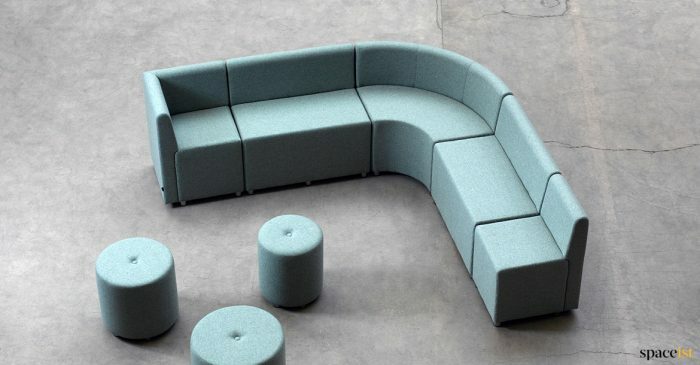 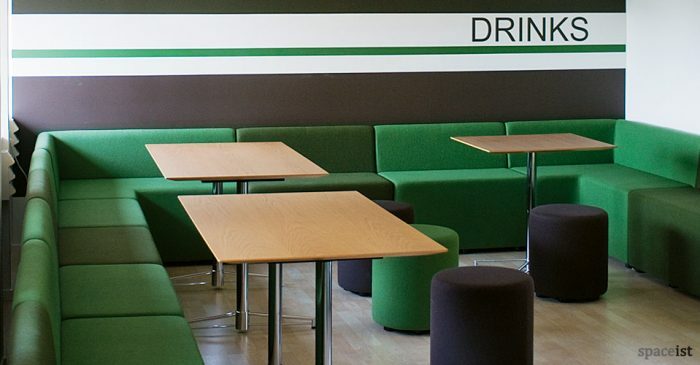 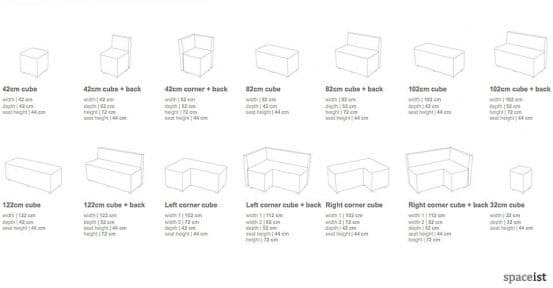 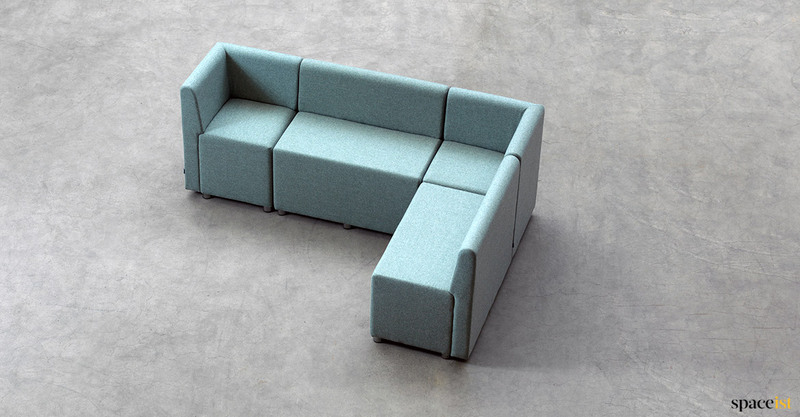 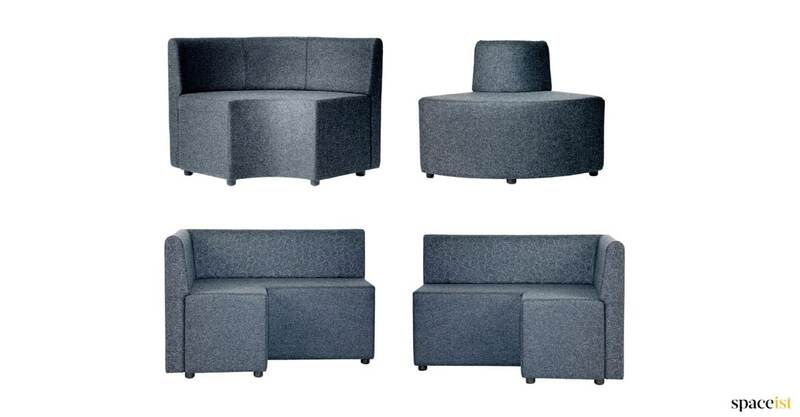 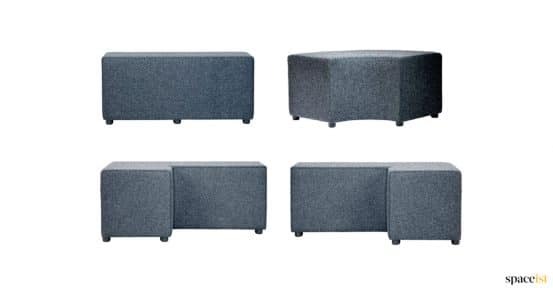 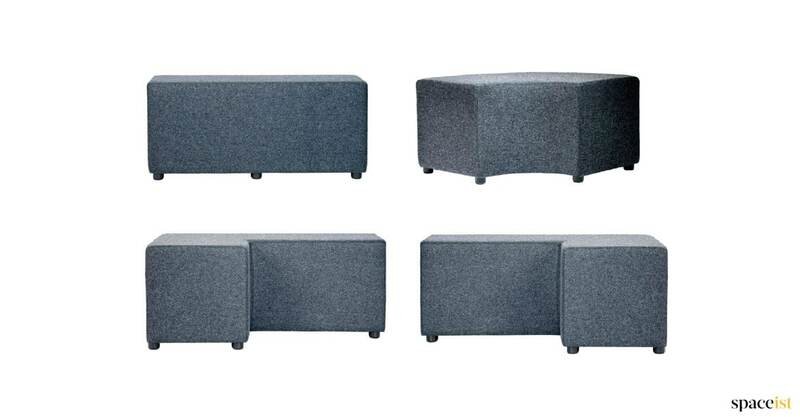 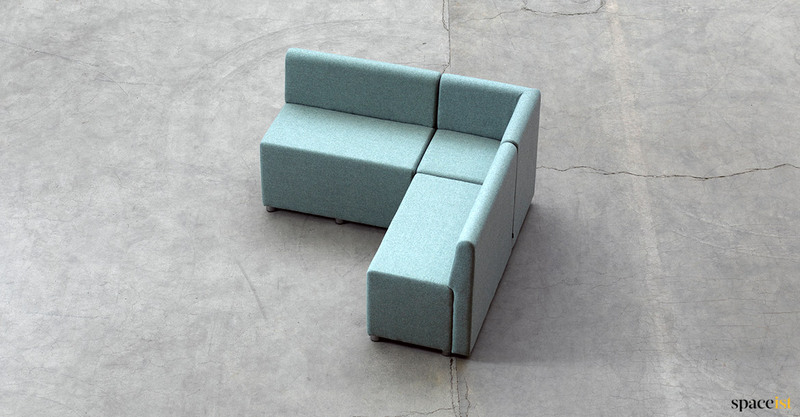 Categories: Common room cubes, Common room furniture, Modular bar cubes, Modular cube range, Modular cube range, Modular cube range, Modular cubes, Modular cubes, Modular furniture, Modular ranges, Modular ranges, Staffroom cubes, Library seating, Modular library cubes, Modular ranges, Breakout Furniture. 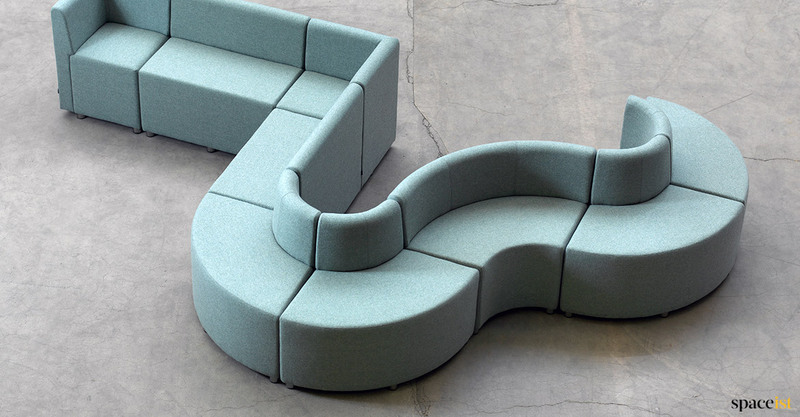 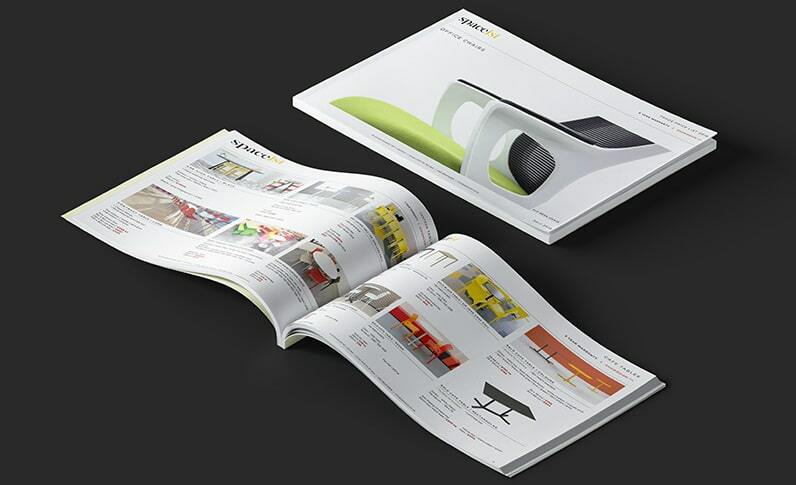 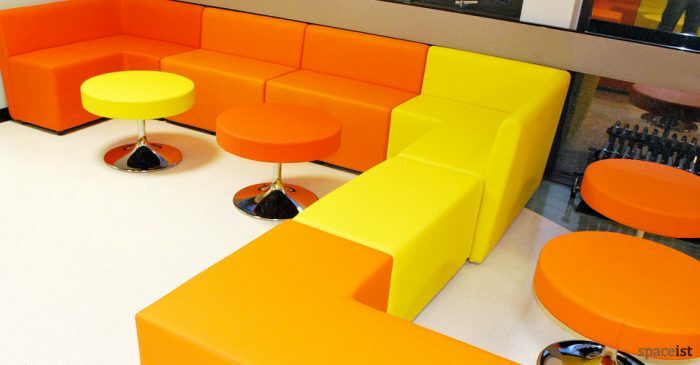 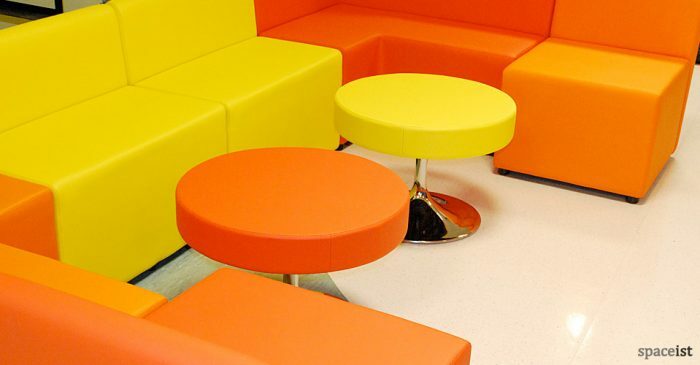 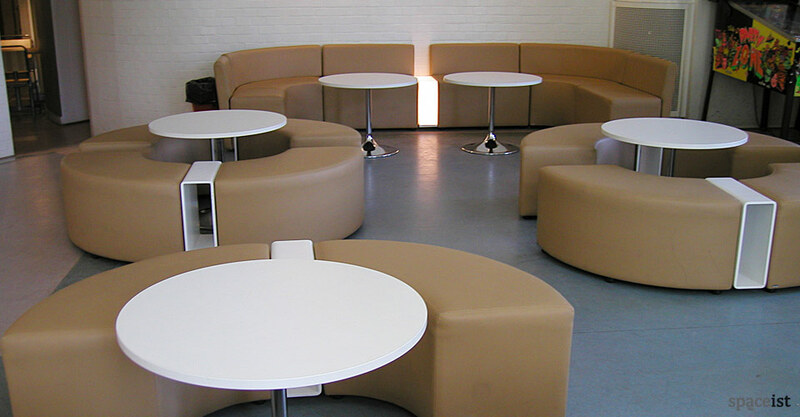 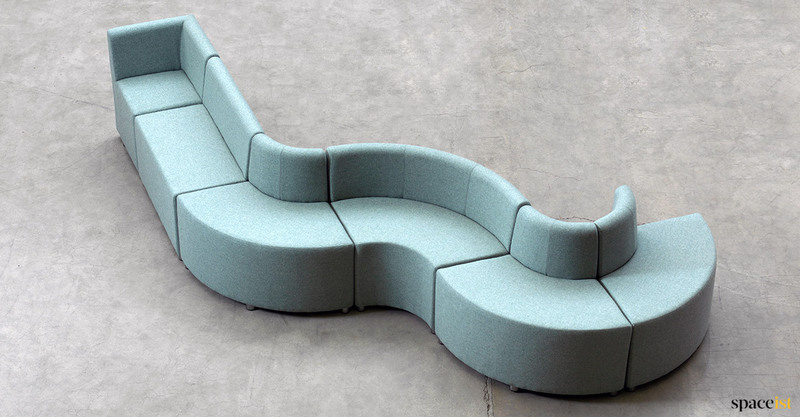 Curved bench style seating upholstered in vinyl faux leather, leather or wool fabrics all in many colours. 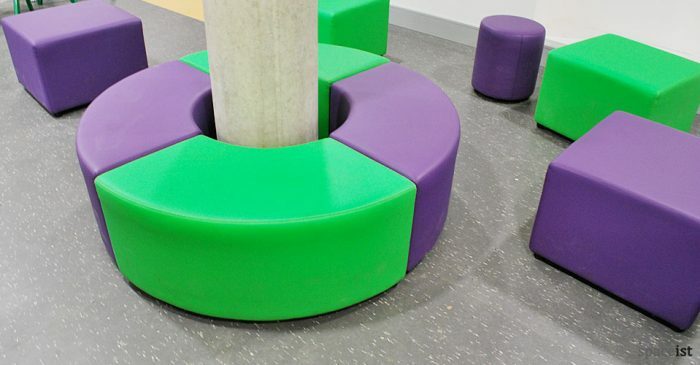 1/4 circle stool forms linked or loose circular or semi-circular seats. 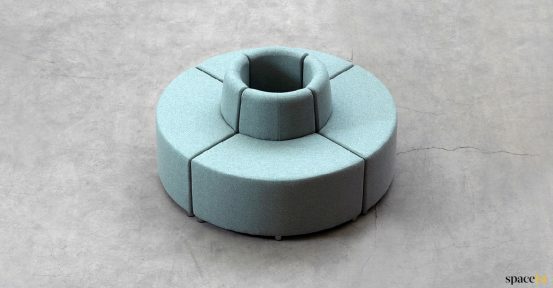 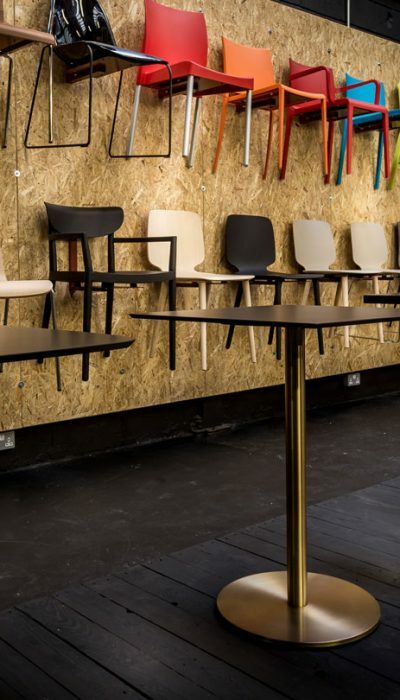 A 1/4 circle stool with upholstered back is also available (shown) as well as cafe style tables and linking side tables.